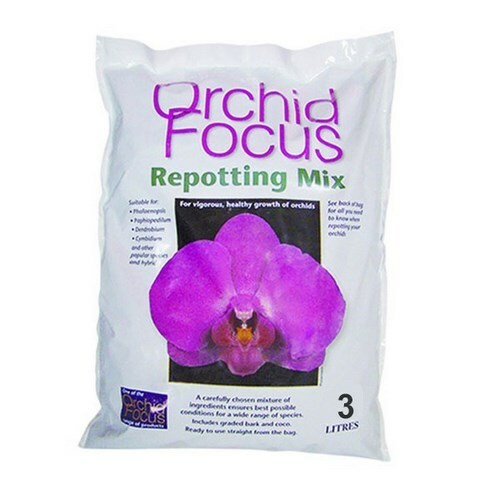 Orchid Focus Repotting Mix consists of matting of coconut(coke) and of piece of bark. He allows a good regulation of the air and the humidity specially for orchids. He can be kept(preserved) in plantation during a period from 12 to 18 months. It is usable growing as in blooming.